Bajaj is cooperating with Japanese prosecutors in their investigation of Ghosn, a person familiar with the matter said. When asked by Automotive News about his status, Bajaj said, “I’m staying out of it. No comment.” One source said Bajaj was expected to eventually return to work. One Nissan insider called the sidelining of Munoz and Bajaj a “purge” of influential Ghosn-era executives, after Ghosn’s stunning Nov. 19 arrest in Japan and removal as Nissan’s chairman. 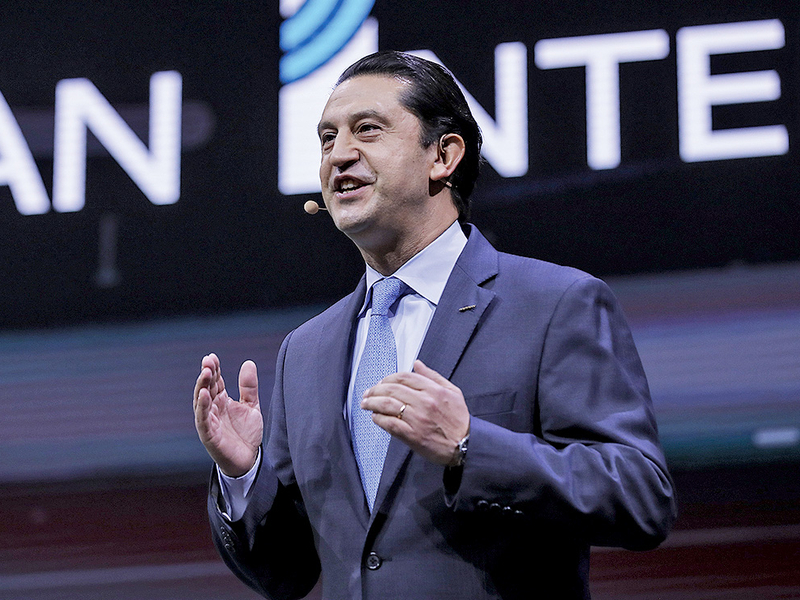 Munoz, who ran Nissan’s North American business before being given responsibility for sales results around the world, cited the internal investigation of Ghosn in his resignation. The Spaniard aggressively drove the company’s controversial multi-year drive to boost its U.S. market share to 10 percent in accordance with Ghosn’s orders, angering many dealers along the way. He also blamed Nissan’s widening investigation of past Ghosn activities, for diverting the company’s focus. Two people familiar with the matter said Munoz was not sufficiently cooperating with Nissan’s probe against Ghosn. One source said Nissan was also questioning Munoz’s role in awarding supplier contracts, including one with a parts maker in Mexico. Munoz, a native of Spain, is believed to have not visited Japan since leaving the country in late November, shortly after Ghosn’s arrest. Munoz was frequently cited as a possible successor to Saikawa. Indeed, Saikawa named Munoz chairman of Nissan’s business in China — the automaker’s biggest market, but a key region where Munoz lacked deep experience. The move was seen as part of his grooming for the top post. But Saikawa and Munoz didn’t always see eye to eye, especially over U.S. growth strategy. It fell to Munoz to execute Ghosn’s aggressive 2011 midterm business plan in North America, Power 88. The plan targeted an 8 percent operating profit margin and 8 percent global market share. Nissan missed those, but Munoz in select months delivered another top goal of the plan: a 10 percent U.S. market share, a gain of more than 3 percentage points from the plan’s starting point, a feat many critics doubted was possible. “The Japanese are much more conservative, but Ghosn and Jose Munoz realized you need some aggressive dealers,” said Scott Smith, vice chairman of the Nissan National Dealer Advisory Board and owner of Smith Automotive, which has four Nissan stores in the Atlanta area. “To hit their targets, it forces the dealers to really be engaged in the store on every level. For three years, I had record profits. “We want to see an aggressive plan that also builds the brand,” he said. But smaller dealers felt squeezed into unrealistic targets. Critics called Nissan’s sales plan unsustainable and profit-eroding in the long run. “The problem under the Munoz tenure was that it was simply market share at any cost,” said Steve Kalafer who says he was so jaded by the approach that he sold his Nissan franchise. “The entire reign of Munoz is against a backdrop of the finest product launch that Nissan has ever had. These products are not inferior. The brand name has become inferior,” said Kalafer, who as CEO and founding chairman of Flemington Car and Truck Country in Flemington, N.J., still sells the luxury Infiniti brand. After Saikawa succeeded Ghosn as CEO in April 2017, he began to reverse course. He dumped hard numerical targets and said Nissan wouldn’t chase sales volume at the expense of brand value. He also tried to dial back fleet sales and incentives.